I’ve just spent almost three weeks in China. 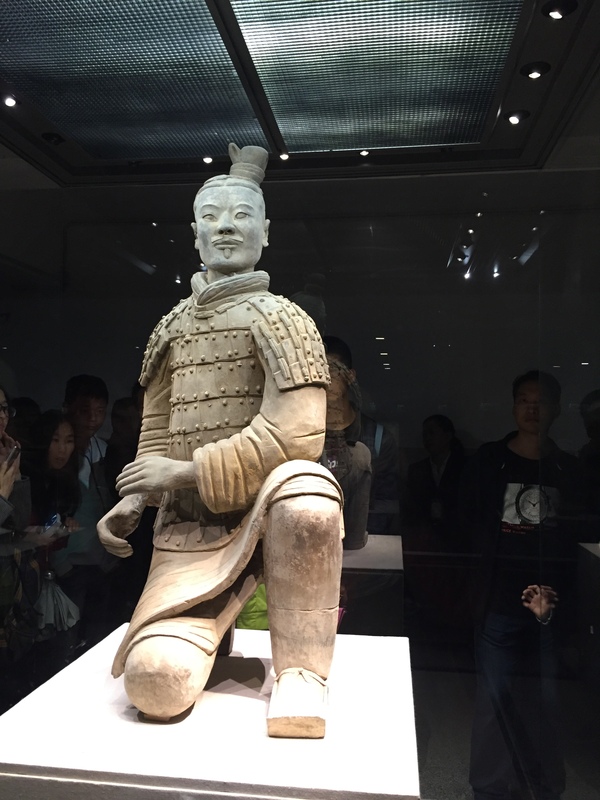 As part of that time, I visited with colleagues one of the wonders of the world east of Xi’an, the Terracotta warriors. We entered one of three viewing areas for the major excavation pits, and it was simply stunning. There before us were thousands of intricately carved figures; soldiers, archers, horses and chariots. These figures were from the 3rd century B.C.E., and buried around 210-209 B.C.E. 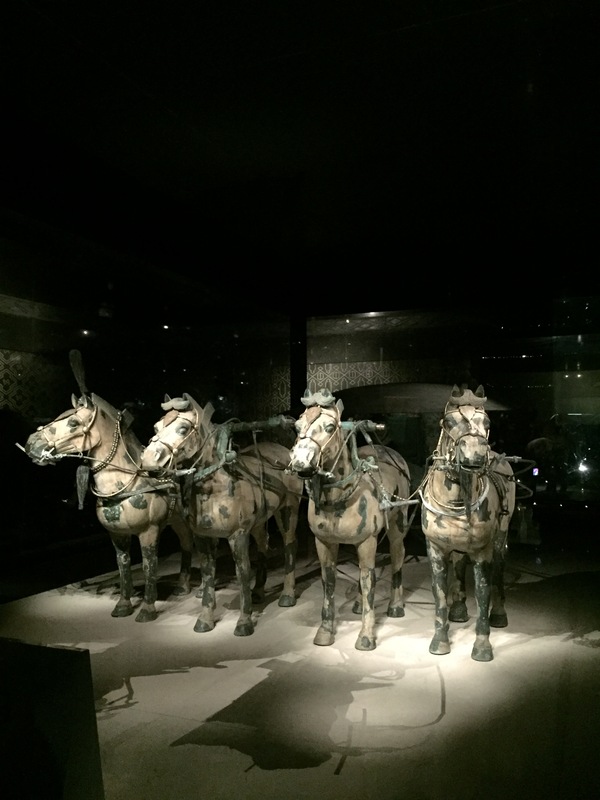 to protect Emperor Qin Shi Huang in the afterlife. Considered by many the first to unify China in history, the Emperor’s tomb is just a few miles away. These three pits are said to hold over 6,000 soldiers, 130 chariots, 520 horses, and 150 specifically Calvary horses. 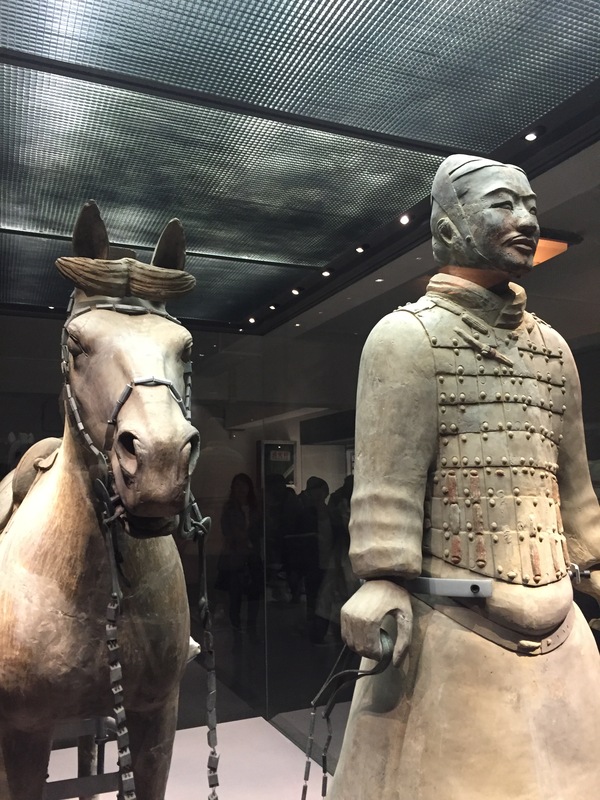 Each of the figures are life-sized and have unique faces, probably modeled on actual soldiers and horses. The Generals are the tallest and several have been found in pristine condition. There are also hundreds of archers, as well as officials of various ranks, and even entertainers like acrobats and musicians. But even with all of the artistic excellence of the craftmanship, what stood out to me was one amazing fact. These figures were in the ground buried for over 2,100 years! It was not until 1974, when local farmers in the province were digging for a well, that they uncovered the first sign of this treasure trove. Even now, there are parts of the pits and surroundi ng areas that have not been excavated. Thus the question I titled this post with, What Else Lies Buried? 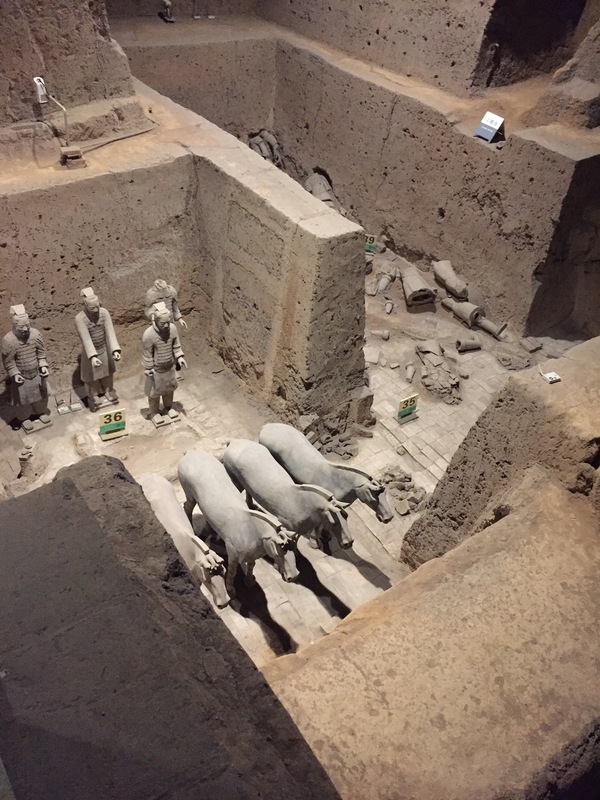 This is likely true of the Terracotta warriors site, but it also could be true of other treasures in the Xi’an area that pertain to the early history of Christianity in China. I will say more in another post about this, but two evidences for the existence of the Church in the nation trace back to the 7th-8th century, with one of them buried in the ground for over 800 years. In Xi’an itself, one of the historical capitals of several dynasties in Chinese history, is the Nestorian Stele, a stone monument that details the beginnings of Christianity in China dating to 635 when a missionary monk named Alopen arrived in Xi’an from West Asia having journeyed along the Silk Road.I will say more about this treasure in the next post, but it was buried in the ground about an hour outside the capital somewhere around 845. This was probably done by the Christians as persecution broke out at that time. 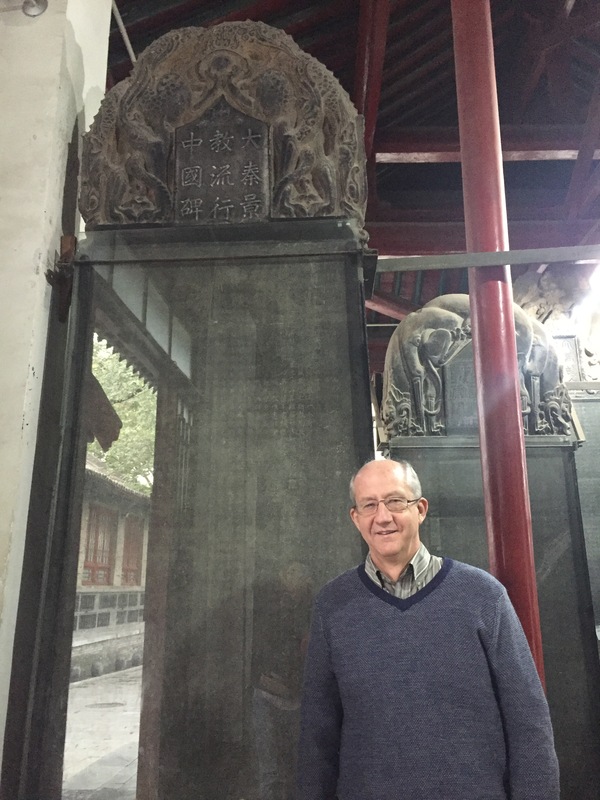 The Stele was in the ground undiscovered all the way until 1625, when local farmers found it. After being in the ground for over 800 years, it has since 1625 survived all the events of Chinese history after that, including the Cultural Revolution of the 1960’s. Another evidence for early Christianity is located near where the Stele was discovered, a 7th century Pagoda that most scholars believe belonged to the Church of the East and built according to Taoist style. This is not uncontested and I will write more about it in another post. It also remained for many centuries an unnoticed historical signpost to the past. What Else Lies Buried? This was the question one of my colleagues had as we stood in front of one of the pits holding the Terracotta warriors. Indeed. What other treasures of the past are still undiscovered, not only in China but all over the earth? What other evidences of pre-1500 Christianity in Asia are still buried? Perhaps they lie beneath modern cities like Patna, India, or Herat, Afghanistan. How do we get to them? Is it a matter of archaeological digs that have to be approved by governments and usually cost dearly? Or is it a matter of the treasure becoming known in the fullness of Providential time, with local farmers or workers uncovering them as in the Terracotta example and the Stele. The question haunts me. What Else Lies Buried? Much more, I suspect. Thankfully the curiosity and audacious risk-taking of modern explorers and archaeologists is not dead in our world today. May it grow even more in a new generation all over the world.